At its east end, Burr Trail Road drops nearly 800 feet into Burr Canyon on a series of switchbacks shown at lower right, to meet Notom-Bullfrog Road. 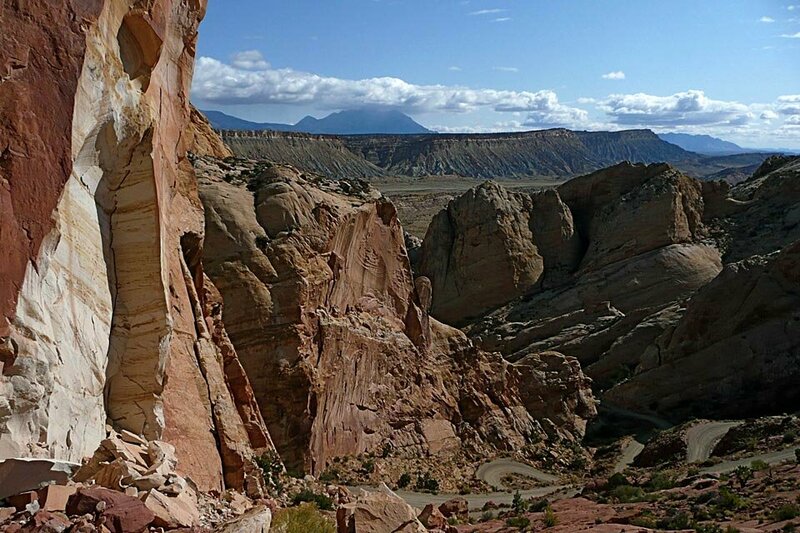 In this area of Capitol Reef National Park, are many of its hiking trails. The Henry Mountains can be seen in the distance.